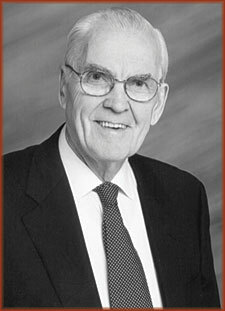 Alan M. Voorhees is a distinguished engineer and transportation consultant who planned most of the metropolitan and local transportation systems built in the free world in the 1960s and 1970s. Serving in the United States Navy during World War II, he made maps of underwater approaches to beaches as a member of Underwater Demolition Team. A native of New Jersey, Mr. Voorhees earned degrees from the Rensselaer Polytechnic Institute and the Massachusetts Institute of Technology. From 1977 to 1979 he was dean of the College of Architecture, Art and Urban Sciences at the University of Illinois at Chicago. He has served as President of the American Institute of Planners, was chairman of the Transportation Research Board (part of the National Academy of Sciences), and was first chairman of the Center for Geographic Information at the Library of Congress. A collector of maps since the 1970s, Mr. Voorhees has recently made his collection available for research by placing maps, charts, and atlases at the Library of Virginia, the Virginia Historical Society, the Library of Congress, and other institutions. In 1998 and again in 2003, Mr. Voorhees donated to the Library of Virginia maps that focus on the exploration of the Chesapeake Bay area and the development of Virginia within the context of both European and American history. The cultural perceptions, political aspirations, and extent of geographical knowledge of those who created these maps and atlases are evident in the lavish cartouches, or title areas, and the illustrations and land claims, many with bright hand-coloring. A primary supporter of Virginia in Maps: Four Hundred Years of Settlement, Growth, and Development, published by the Library in 2000, Mr. Voorhees also initiated the idea for the current Civil War Maps Digital Image Project, a collaborative effort by the Library of Congress, the Library of Virginia, and the Virginia Historical Society, to digitize original Civil War maps for inclusion on the Library of Congress's American Memory Web site. The Voorhees Collection is a major contribution to the Library's core collection of more than 5,000 historical maps. Alan M. Voorhees and his wife, Nathalie, received the 2000 Philanthropic Award from the Library of Virginia Foundation, and the South Reading Room, where the maps are stored, is named for Nathalie P. Voorhees.